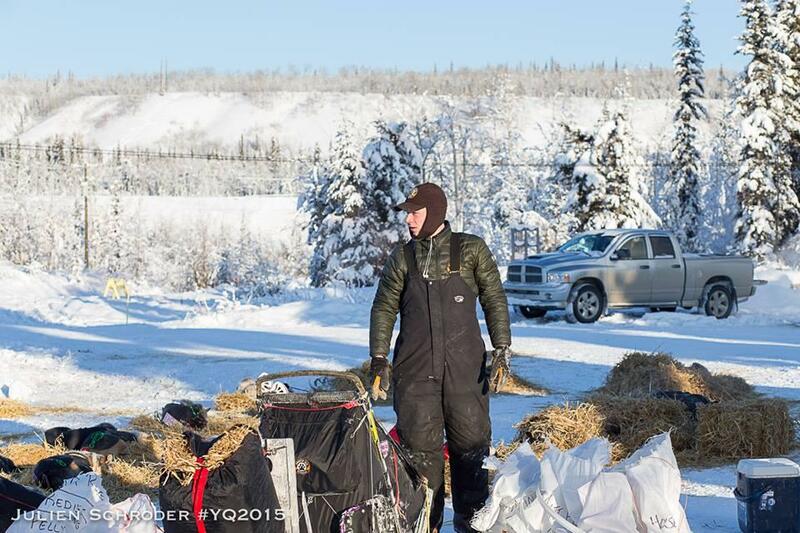 Matt Hall looks over his team in Pelly Crossing before he sets off to leave the checkpoint. Despite the camaraderie, Hall arrived in Pelly Crossing in low spirits. “Yeah, I think I’m at what they call the wall,” said Hall. 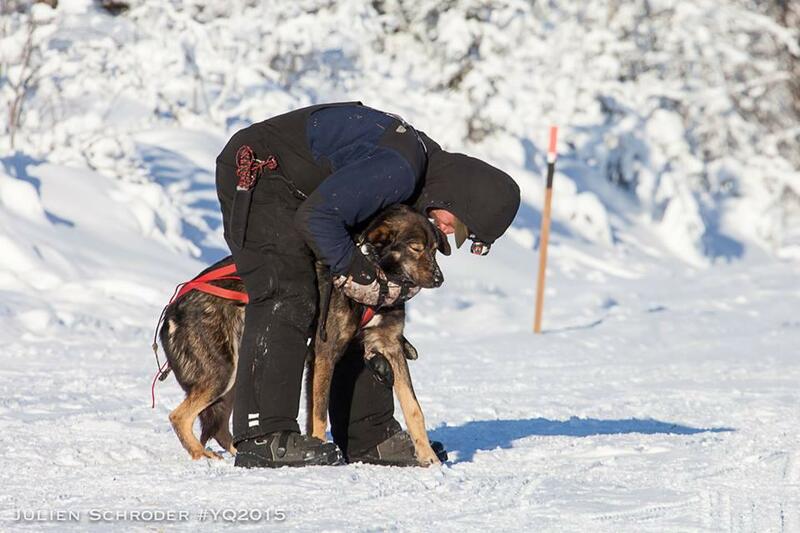 Hall dropped two dogs in Carmacks, and four when he arrived in Pelly. 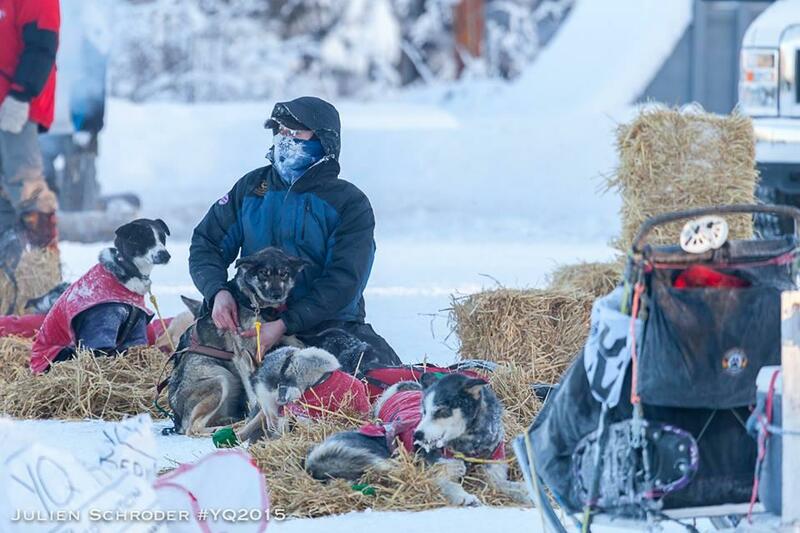 His team left quietly from that checkpoint, but two hours later, he returned to scratch - perhaps an ultimate low for the up-and-coming musher who placed third as Rookie of the Year in 2014. 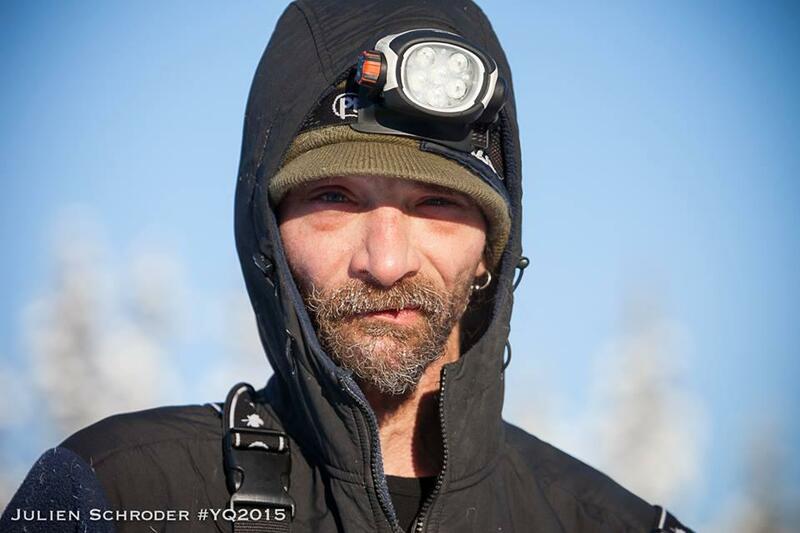 Highs and lows on the trail aren’t out of the ordinary for even the most veteran of mushers. “Just one minute everything’s great and then the next minute it’s like what the hell just happened? I’ve been referring to as being plugged in and unplugged,” said Lance Mackey. Nearly every one of his fingertips is frost bitten in spite of battery powered glove heaters. “I can’t put it out of my head. It’s one of those things that’s a constant reminder,” he said of his aching fingers. “I need a replacement with a booty horn on one hand and a hook on the other or something,” he joked. 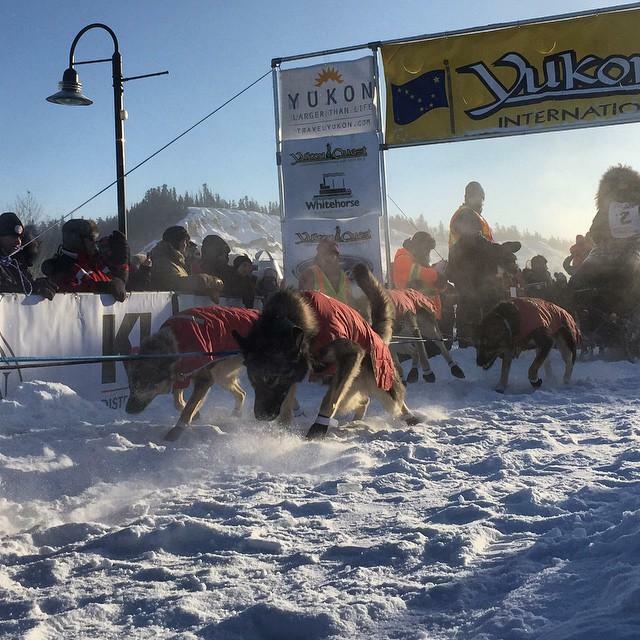 But the four-time champion is experienced enough to know the Yukon Quest is fraught with ups and downs even for the dogs. 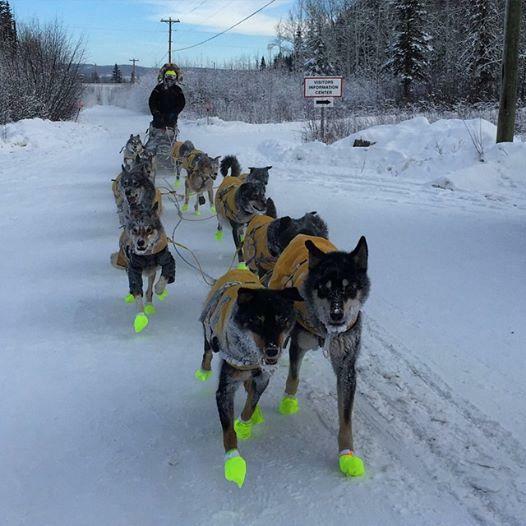 “Well coming through some of that jumble ice, I had [a dog] fall in a crack and as soon as it happened I knew she was going to be done,” he said. “So I stopped right away and apologized for not being able to control all the things and I go up there and I have my little talk with her and I’m walking back to the sled and then I fall in a crack and I fall on my head and I tuned back and ‘See?’ and we kind of laughed about a bad situation,” said Mackey. The even-keeled Swede didn’t have much to report from the first 300 miles of his race. 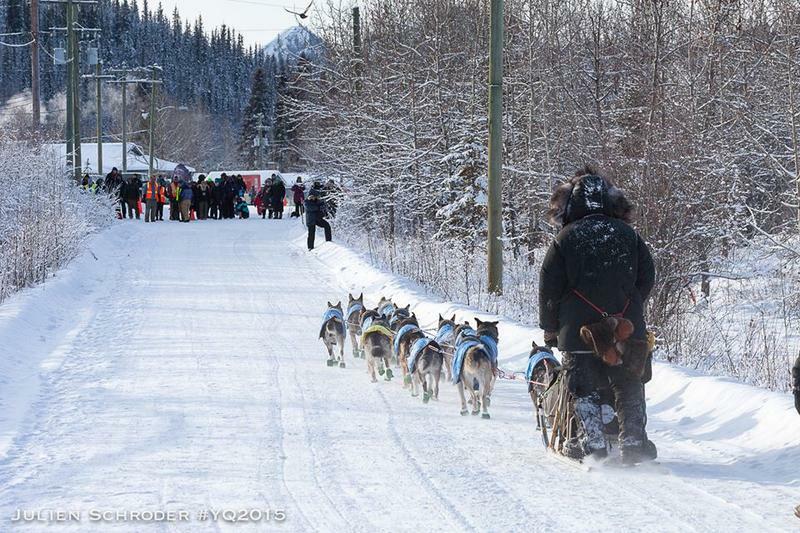 His plan is to take it easy into Dawson City. 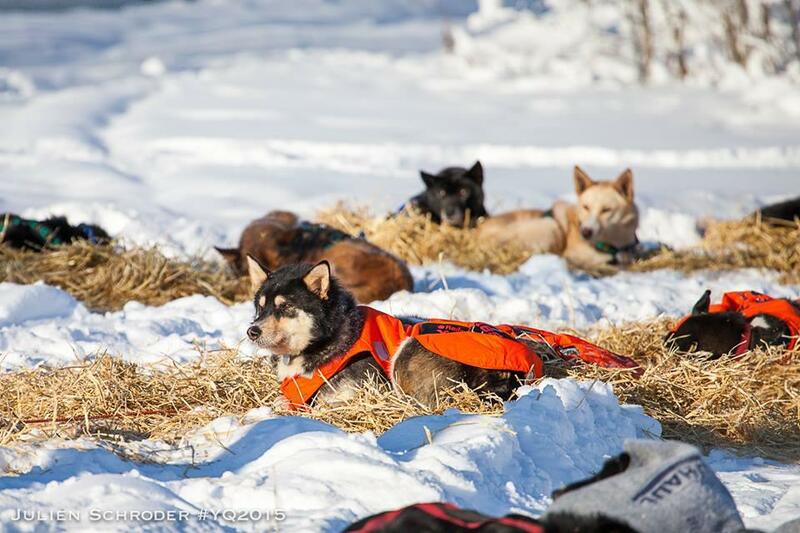 Mushers are looking forward to 24 hours of rest in Dawson. A few say they might consider staying longer. Whether they are serious isn’t entirely clear. 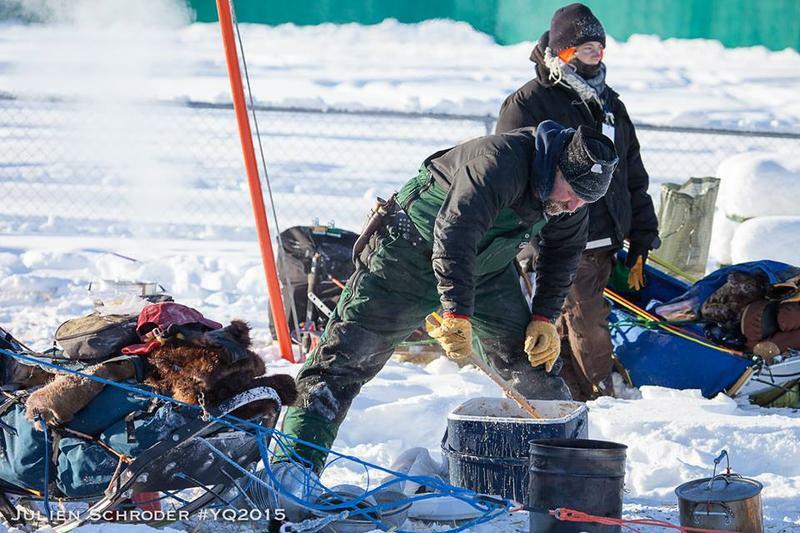 The weather forecast is calling for a break in the cold over the next day or two, but few mushers say the trust that prediction.